John Muir was a preservationist who was very active in protecting what he considered pristine habitat. He also wrote many essays, letters and books that are still popular even today. 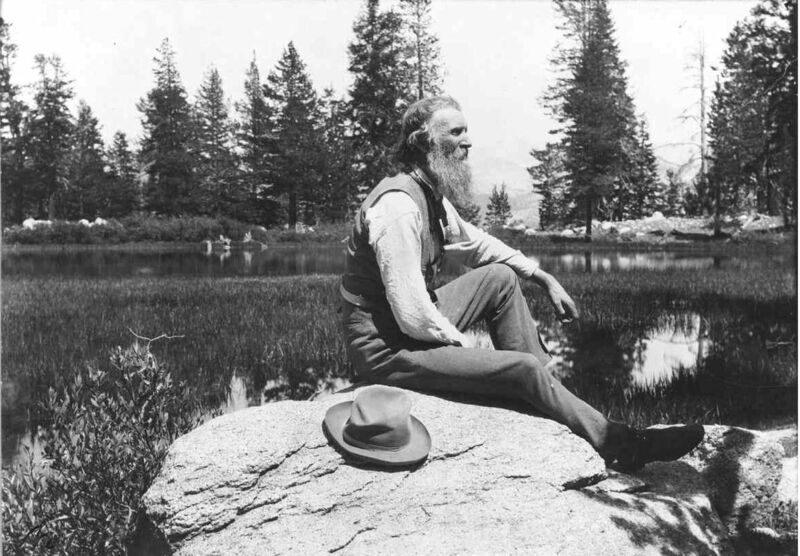 Activism to save Yosemite and other wilderness areas was also a big part of John Muir’s life. The Sierra Club was founded by John Muir and is an important environmental organization even today. He is also regarded as one of the important figures in the start of the modern environmental movement. 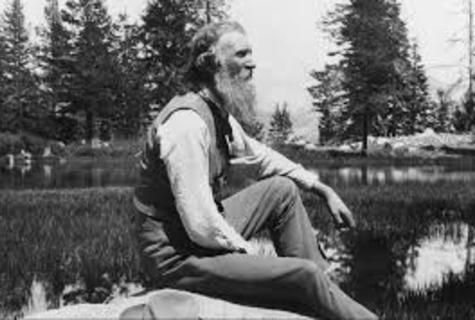 John Muir was born on April 21, 1838 in Scotland to Daniel Muir and Ann Gilrye he had seven siblings one of who was American born. His boyhood pursuits were fighting and hunting for bird nests so he could make notes to compare with his friends on where the most were located. In 1849 Muir’s family moved to Wisconsin and started up a farm called Fountain Lake Farm which to this day are still owned by John Muir’s descendants. He attended the university of Wisconsin-Madison where he attended his first botany class which filled him with enthusiasm for exploring the wilderness. Muir did not graduate college but instead dropped out and worked an industrial job during 1866 to 1867 then he proceeded to walk 1000 miles from Indiana to Florida. He originally planned to go to South America but contracted Malaria and decided to go to California instead. After arriving in San Francisco in 1868 Muir immediately went to a place he heard of called Yosemite. When Muir first saw Yosemite Valley he was captivated by the view and later wrote,”No temple made with hands can compare with Yosemite”. His first visit to Yosemite only lasted eight days which afterwards he went to the Sierra foothills and got a job as a ferry operator and sheep herder. In May of 1869 Muir was contacted about a job herding sheep during the summer in the mountains, he enthusiastically accepted the offer and spend his summer exploring the area. During the summer of 1869 Muir started developing theories on how the area developed and the ecosystem worked. Due to the summer spent in the area Muir secured a job in a sawmill in the area, he stayed in the area and build himself a log cabin along Yosemite Creek. 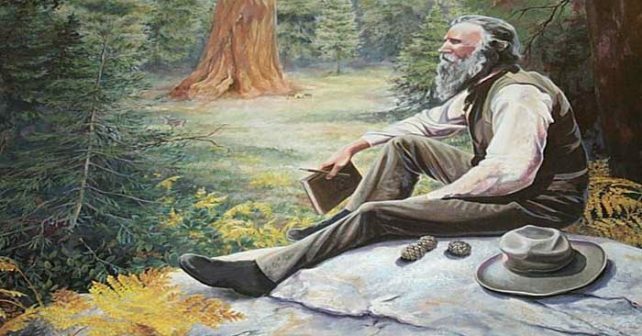 Muir’s pursuit of science caused him to spend most of his free time exploring the area and pondering different aspects of the area. He was the first person to come up with the idea that Yosemite could have been formed by glacial movement, this was against the accepted theory of the time. The person who came up with this theory tried to discredit Muir by branding him an amateur. In 1871 Muir discovered an active glacier below Merced Peak, this discovery helped him to prove his theories on the area. In 1880 Muir married and by marriage owned a 2,600 acre ranch, he managed the ranch for a while before his health began to decline. His wife suggested he return to the wilderness where he proceeded to climb Mount Rainier and wrote the book “Ascent of Mount Rainier”. 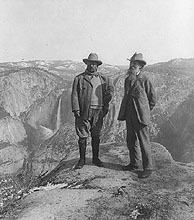 Muir became even more of a critic of people who would destroy Yosemite and he became a very outspoken preservationist. Muir agreed used his public influence to help urge Congress into passing a bill that would turn the Yosemite area into a national park. On September 30, 1990 congress passed a bill that turned Yosemite into a national park, Muir was dismayed by the fact that the park would still be controlled by the state.